The objective of this article is to examine the association of teen motherhood and long-term physical and mental health outcomes. The physical and mental health components (PCS and MCS) of the SF-12 Healthy Survey in the NLSY79 health module were used to assess long-term health outcomes of women who experienced teenage motherhood. Various familial, demographic, and environmental characteristics were indentified and controlled for that may have predicted teen motherhood and long-term health outcomes. The two comparison groups for teen mothers were women who experienced teen-pregnancy only and women who were engaged in unprotected sexual activity as a teenage but did not experience pregnancy. Multivariate ordinary least squares regression was used for analysis. The average PCS and MCS for teen mothers was 49.91 and 50.89, respectively. 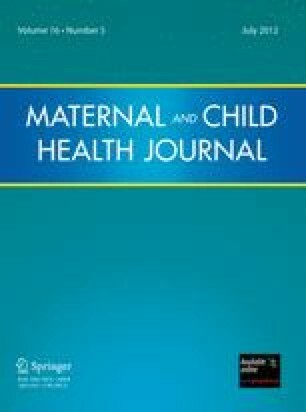 Teen mothers exhibited poorer physical health later in life compared to all women as well as the comparison groups. When controlling for age, teen mothers had significantly lower PCS and MCS scores compared to all other women. Furthermore, when controlling for familial, demographic, and environmental characteristics, teen mothers exhibited significantly lower PCS and MCS scores. When comparing teen mothers to the two comparison groups, PCS was not statistically different although MCS was significantly lower in the teen-pregnancy group. Teen motherhood does lead to poorer physical health outcomes later in life. On the other hand, poorer mental health outcomes in later life may be attributed to the unmeasured factors leading to a teen pregnancy and not teen motherhood itself. Additional research needs to be conducted on the long-term consequences of teen motherhood. Guttmacher Institute (2010). US Teenage pregnancies, births, and abortions: National and State Trends and Trends by Race and Ethnicity. Retrieved from www.guttmacher.org.